The planning of a digital marketing strategy can take place only when the right set of keywords have been identified. Google Keyword Planner is a highly effective tool which will help you identify the contents which you will need to use in your content. If you want your visual ads to be eye-catching and acceptable to your target audience, then Bannersnack will prove to be very useful for you. Hubspot is normally used to create high-quality landing pages. But you can also use it to perform keyword research and come up with unique ideas for blogs. There are numerous tools which are used in e-mail marketing but ActiveCampaign is the best among them since its interface can be easily understood. SerpStat is akin to Google Keyword Planner but is equipped with more features. If you are looking for a tool which will assist in the growth of your business, this would be the best tool for you. If you are facing issues in generating ideas for content, then you can rely on Buzzsumo. It can help you find out trends and topics which are popular across different social networking platforms. This tool enables you to generate bots for use in sales, marketing and support. ManyChat’s major plus point is that it is available for free and can be understood easily. If you need a free analytics tool then Google Analytics fits the bill perfectly. Sprout Social is most suitable for people who need a tool which comes with a wide range of features for digital marketing. Slack is a more of a collaboration rather than a marketing tool. 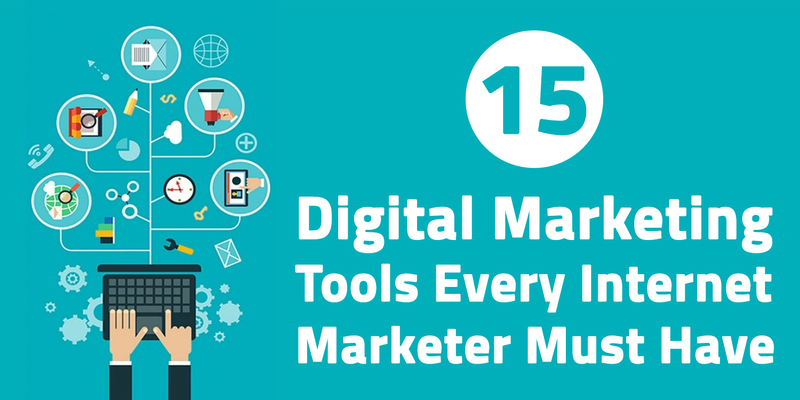 Using it you can cooperate with your co-workers to ensure that your digital marketing tool is on track. Feedly an app which is similar to a news aggregator which shows content and blog posts from other websites in different categories. You can use Pingdom to keep a track of your website speed periodically. Using SurveyAnyplace, you can utilize visually attractive elements to perform a survey of your target audience. It comes with an option to ask interactive questions as well. In case you are more focused on social media, Buffer will be a great tool for you. Using it you can manage the posts which you make across different social platforms proficiently. Bitly is highly effective for branding. Though it is mainly used for shortening long links, it enables you to do some branding as well. Once you have access to all these tools, managing and keeping a track of a digital marketing campaign will be considerably easier for you.